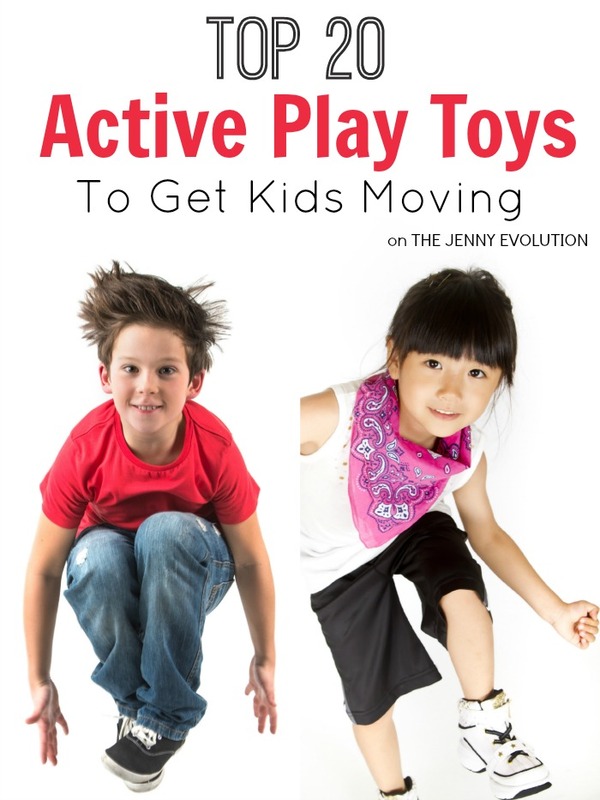 Get your kids moving with Amazon’s top active play toys! Many of these top gross motor toys will be perennial favorites that will grow along with your child. If your kids are anything like mine, they need to MOVE! For us, living in Chicagoland, it can be tough to get outside during the winter. 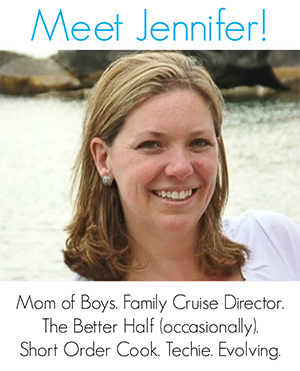 So we’re always looking for terrific gross motor toys that will get our boys moving! Whether you have a toddler running around or an older child, you’ll find some terrific gift ideas that will get your kids using their muscles and using their energy. This post contains affiliate links. Shipping is FREE with Amazon Prime or $35+ order. Sign up for a FREE 30-Day Amazon Prime Trial HERE. Along with FREE shipping you will get access to thousands of movies, tv shows and books for FREE! 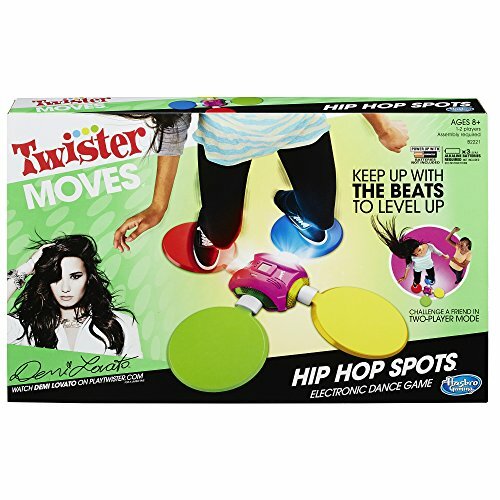 Hasbro Games Twister Moves Hip Hop Spots: Follow the lights, hop on the spots, and keep up with the beat with the Twister Moves Hip Hop Spots Electronic Dance Game. There are four different levels to play, and new beats to follow at every level. Select solo play or challenge a friend as you make the right moves to master Beginner, Advanced, Pro and Freestyle levels. If you can keep up with the beats, you’ll unlock new levels and rule the dance floor with Twister Moves Hip Hop Spots. PlasmaCar Red: It’s like magic, but you don’t need to be a magician to get it to work. The PlasmaCar is a mechanical marvel that makes use of that most inexhaustible of energy sources, kid-power, by harnessing the natural forces of inertia, centrifugal force, gravity, and friction. It’s so easy to operate; all it needs is a driver and a smooth, flat surface. 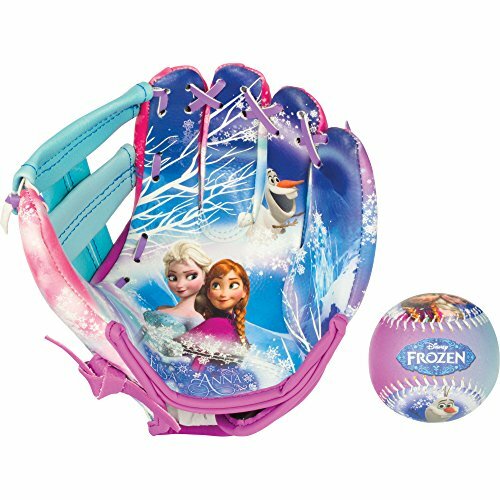 Franklin Sports Disney Frozen Air-Tech Glove and Ball Set: The Disney Frozen Airtech Glove & Ball Set is designed for young players just learning to play baseball. Constructed of soft and lightweight material, this glove allows for easy opening and closing of the glove. The ball is hand sewn and constructed of a super light inner core. This is intended to give kids the confidence they need when learning to catch. Gaiam Kids Yoga Mat, Blue Rocket, 3 mm: It’s a tortoise! It’s a butterfly! It’s a yoga superhero! Every kid was born to flow. Yoga makes our bodies healthy and teaches concentration, balance and calm – even in the face of too much silliness. 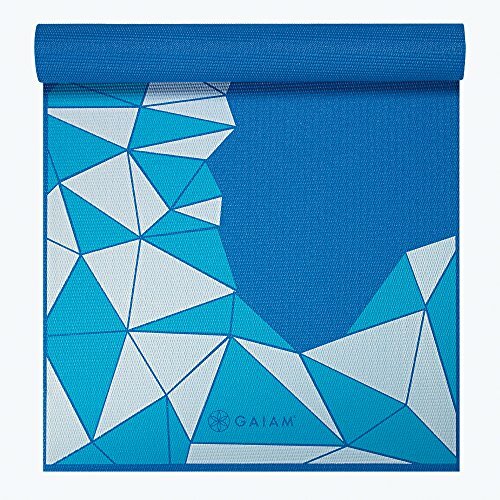 That’s why at Gaiam, we’re rolling out mats and accessories for the smallest of yogis, with bright colors and fun patterns to help shake out the wiggles and work out those funny bones. So, are you ready to learn the ways of yoga? Designed for kids ages 5-8. Includes a downloadable free kids yoga class. 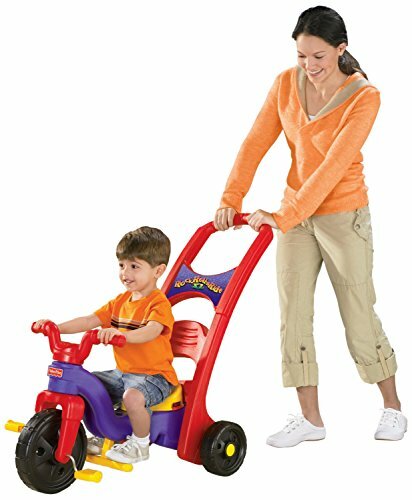 Radio Flyer All-Terrain Stroll ‘N Trike Ride On: The All-Terrain Stroll ‘N Trike is the ultimate grow with me trike. There are 4 ways to ride to accommodate ages 9 months to 5 years: It easily converts from an infant trike to a steering trike, learn-to-ride trike and a classic trike. 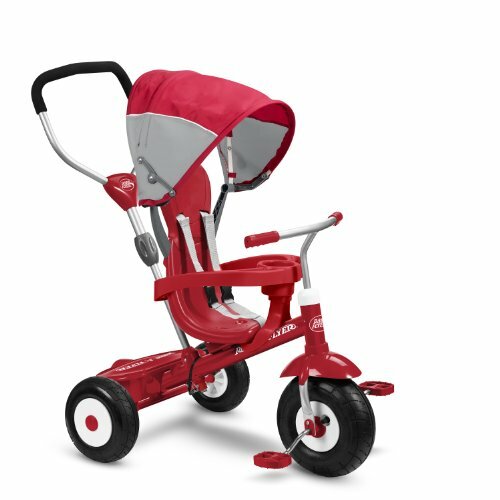 This trike features All Terrain rubber air tires for a smooth ride. It also offers safety features for the youngest riders, including removable wrap around tray with cup holder and a 3 point harness. Adjust the seat and remove the height-adjustable push handle and unique stroller-style canopy and your child is ready to ride. 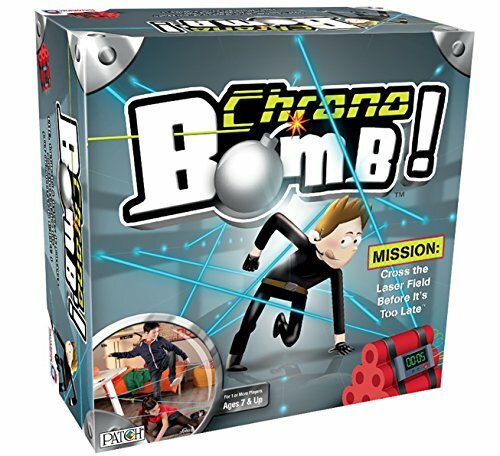 Chrono Bomb Action Game: Chrono Bomb, a top-selling game in France, is a super secret spy mission where kids use the included clamps and 27.5-ft. string to create a “laser” field to crawl through. At the end of the maze is the bomb, counting down. Tick, tick, tick! So, you have to hurry, carefully, and make it to the end to defuse the bomb and be the hero! Play over and over again, building new courses each time or trying to beat your or your friend’s time! Includes free app for more play value! 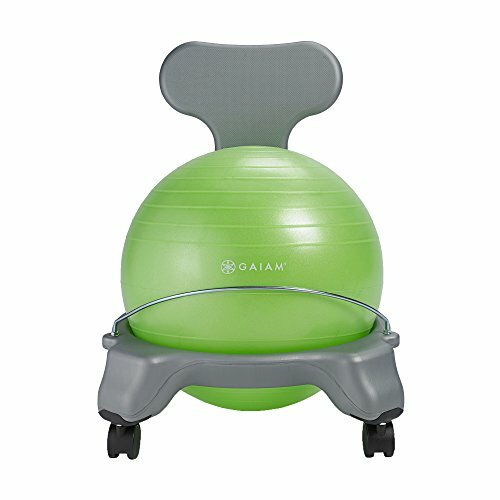 Gaiam Kids Balance Ball Chair, Green: The Gaiam Balance Ball Chair is now available in a kids size. Kids will love this healthy and fun alternative to a chair. Whether it’s at home or in the classroom this chair will excite your kids to learn and adopt healthy posture. Statistics have shown that kids are able to focus more intently when actively balancing their body on a balance ball. 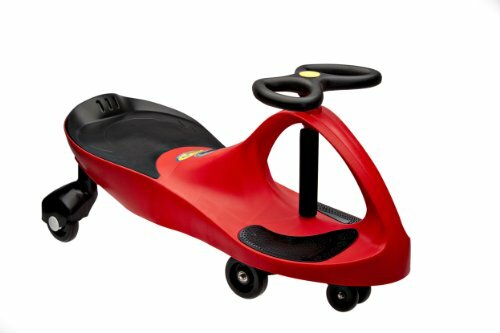 Fisher-Price Rock, Roll ‘n Ride Trike [Amazon Exclusive]: This sturdy trike offers kids three fun ways to ride, from as young as 11/2.all the way to 5! The base locks in place for ride-on, rocking fun. As your child grows, the base converts to an X-tra long parent handle so you can comfortably stroll behind your child, offering a helpful hand while they learn to pedal and steer. And when they’re ready to ride on their own, the handle removes, the seat adjusts, and the foot pegs fold up for easy, independent pedaling. And they’re off! 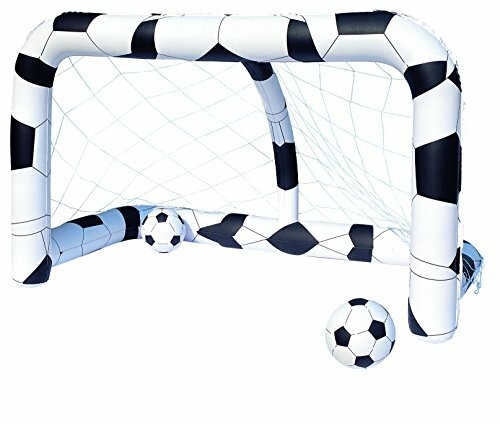 Bestway Toys Domestic Soccer Net, 84 x 48 x 54″: The Bestway Inflatable Soccer Net will be sure to get kids scoring goals time after time! Complete with two inflatable 14” soccer balls, kids can perfect their shot whilst their partner becomes the master of goalkeeping. For children ages 3 and up. 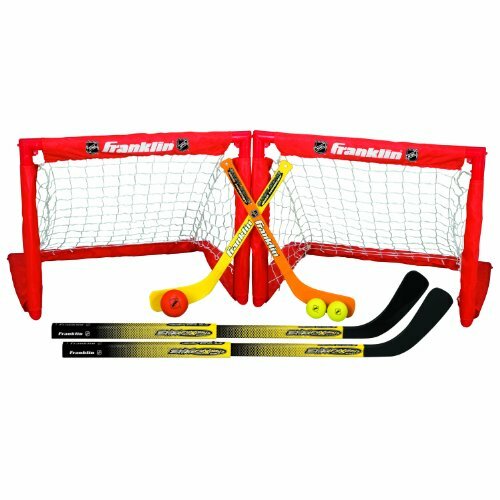 Franklin Sports NHL Indoor Sport 2 In 1 Set: Franklin and the NHL are proud to offer the most extensive line of Mini / Knee Hockey products available today. Finally, everyone can experience the thrill and excitement of Hockey in the convenience of their own home! The goals are constructed from a high-impact plastic frame and a durable polyester all-weather pre-fit net. All Mini Hockey sticks are made from premium ABS plastic and can withstand the most intense knee hockey games. 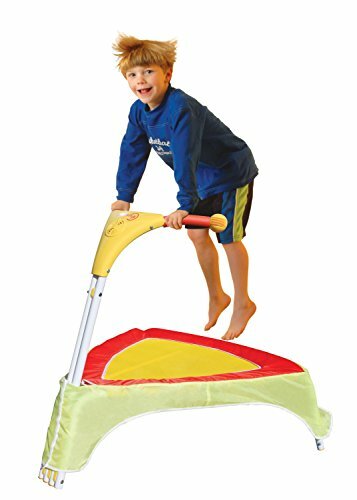 Pacific Play Tents Playchute 10′ Parachute: The ‘Playchute’ Parachutes encourages non-competitive, cooperative play while helping to build muscles. Children must work together to create waves, bounce balls, and raise or lower the parachute. 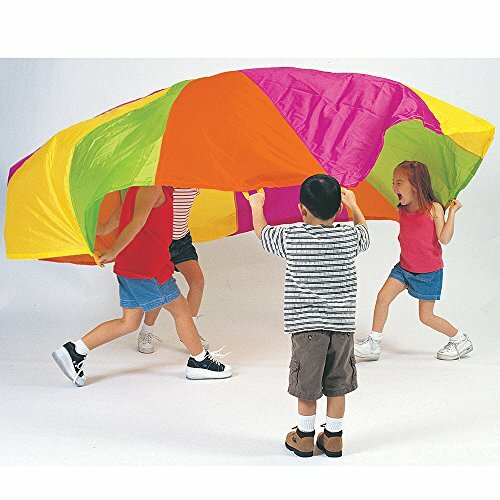 Parachute play develops perceptual, cognitive, motor and academic skills while being amazing fun. They are common play equipment used in schools, clubs and other organizations. 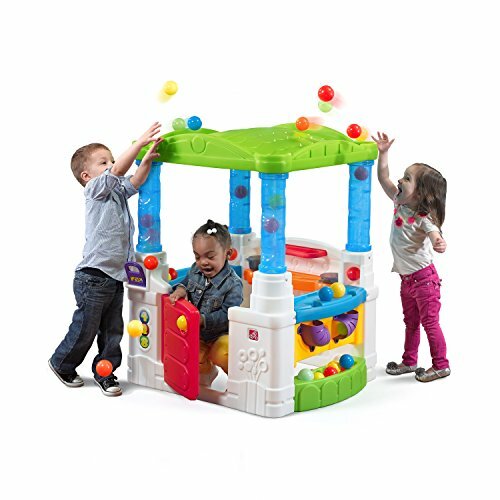 Step 2 Wonderball Fun Playhouse: Your kiddos will have a ball with the Step2 Wonder Ball Fun House! This magical playhouse has an open design and bright color scheme that will fascinate children. Tots will develop their fine motor skills and hand-eye coordination as they toss the balls onto the roof and throughout the playhouse. The compact frame of the fun house will fit inside a playroom or outside in the yard. The Wonder Ball Fun House will keep your kids active for hours! 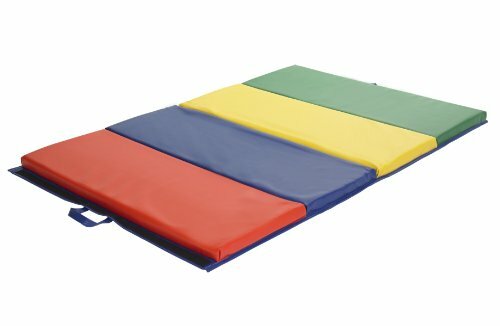 ECR4Kids Tumbling Mat, 4 Sections, 4′ by 6′: Heavy-duty multi-panel tumbling mats from ECR4Kids in bright primary colors. Mats feature convenient handles and “hook and loop” extensions for lengthening with additional mats. Dense 2-inch-thick polyurethane foam folds easily for storage. Wipes clean, easy to sanitize. 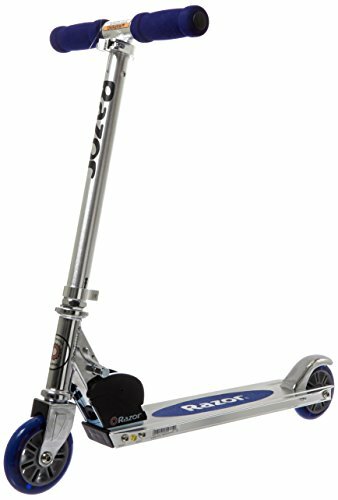 Razor A Kick Scooter (Blue): The original kick scooter, the Razor A is a handy little ride for kids and teens alike. Though it’ll never replace the internal combustion engine, the scooter will get your child from point A to point B much quicker than on foot alone, and requires just a few scoots of one’s shoes in the process. Plus, it’s a blast to use, as your progeny will likely attest. 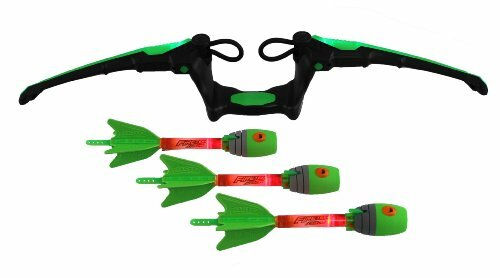 Zing Air Storm Fire Tek Bow, Green: The Air Storm Fire-Tek Bow is the ultimate foam bow and arrows with blazing light up power! Fire Up the Zonic Blaze whistling arrows. Hook the arrows in the fast load loops then ready, aim, fire! Watch as they light up the sky and scream through the air up to 125 feet! You’ve got the power with the Fire Tek Bow! Franklin Sports MLB Super Star Batter & Fielder Multi Function 4 in 1 Pitching Machine: The MLB Super Star Batter & Fielder has a variety of pitching options for practicing hitting or fielding. The machine features four different settings: soft & fast pitch for hitting practice, and grounders and pop flies for fielding practice. Simply set the machine to the designated height and angle for the desired pitch and you’re ready to go. 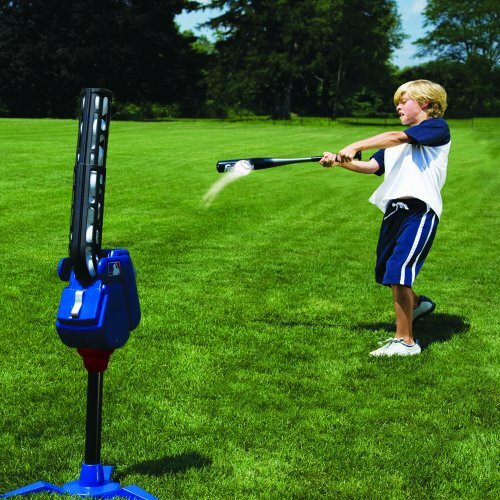 Practice will never get boring with the variety offered by the Franklin Sports MLB Super Star Batter & Fielder Pitching Machine. Ugo Bee Tent: Ready to get busy having fun? Buzzing to play? 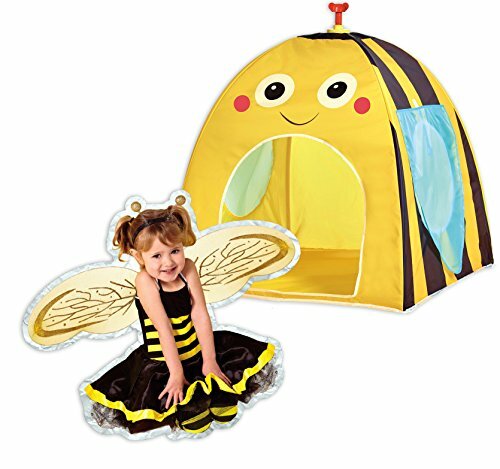 Twist open a world of imagination fast with the Ugo Bee Tent. Twist up and you’re ready to go. The Ugo Bee Tent is the NEW way to unleash fun in a flash. Using our unique and patent pending twist function, the lively tent opens up for instant play. Make the most of their boundless imaginations inside this colorful play tent. 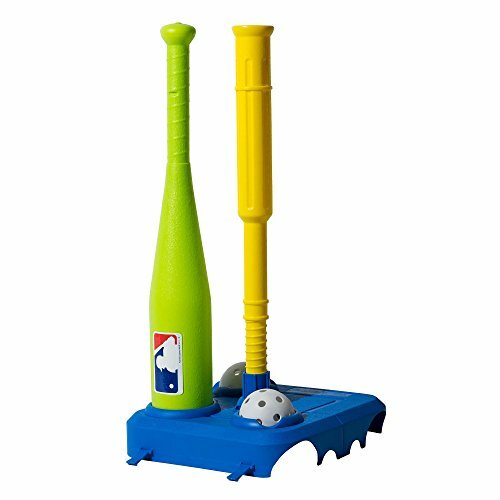 Franklin Sports MLB Fold Away Batting Tee: Learn to play baseball with the Fold-Away batting tee. Designed for the first time youth player. The oversized bat makes hitting easy, giving kids the confidence to learn and enjoy the sport. The tee features an adjustable post that easily twists from 20″ to 24″ in height. The base easily folds together to hold all the components. Grab the handle for travel or storage. Diggin Jumpsmart Trampoline V.2 Toy: The JumpSmart 2 Electronic Trampoline is tons of fun and great for both the body and brain! Kids will delight in jumping along to fun learning games and silly songs. This mini trampoline with a handle is perfect for keeping kids active indoors. It features a sensor that knows when the child is bouncing or not that allows for a five different audio games that makes learning fun. Jumping helps build strength and improve balance and coordination. 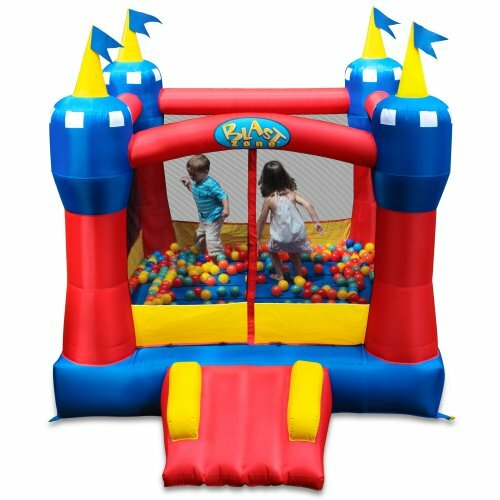 Blast Zone Magic Castle Inflatable Bouncer: This bigger, improved version of the classic Blast Zone castle blows up in seconds, and easily holds 3 kids or 300 pounds of little party-hoppers! The “Safe Slope” Slide provides safe, easy access, and the surrounding netting and Hook-and-loop fastener entrance will keep kids safe while they bounce and have a blast! The extra-durable commercial vinyl floor, and reinforced seams add extra bouncing life. The Magic Castle is an ideal bounce house for backyards, indoors, sleepovers and more. 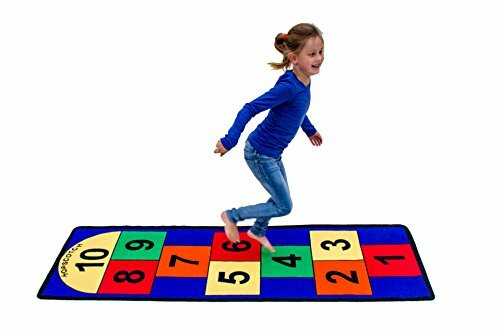 Learning Carpets Hopscotch II Play Carpet: Great fun at home, school, grandma’s house, the beach, the park and parties. This old favorite can now be played anytime, anywhere, indoors and out. Two bean bags are included for tossing. 2 Bean bags included. Unlimited warranty. Soil and stain resistant washable carpet. Durable latex gel skid-proof backing. 100% Nylon carpet. Meets all astm f963 safety standards. Indoor/outdoor usage. Able to withstand rugged wear.